Dara Singh, who endeared himself to an entire nation for more than half a century, initially as a wrestler par excellence, (who was once crowned Rustam-i-Hind) and then as an actor of substance is no more. He passed into eternity today (12-July-2012) morning. Dara Singh who was born on 19th November 1928 as Deedar SIngh Randhawa will always be remembered for his realistic and convincing portrayal of Hanuman. He played the role in scores of films, the last being the TV serial ‘Ramayana’, which had taken the nation by storm. He was in a manner of speaking, the face of Hanuman. He also played role of Bheema and a memorable role of Balarama in the epic ‘Balarama Shri Krishna’ which I have seen. Param Poojya Bapu (Aniruddhasinh) who has Himself learnt wrestling had a very high regard for Dara Singh style of wrestling and has actually seen his performances. In Dara Singh’s death we have lost a genuine sportsman, artiste and a human being. I pray at Param Poojya Bapu’s (Aniruddhasinh)feet that his soul rest in peace. 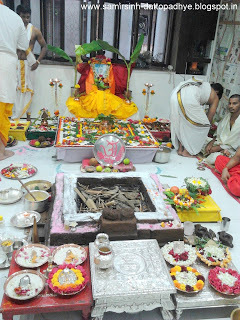 Hari Om..
Shreeram Dada. The role of Hanuman played by Dara Singh in the TV serial Ramayana is still fresh in my mind. The sweet, respectful tone in which he used to address Shriram as 'Prabhu' in the serial will be remembered for many a years to come. I pray to Parampujya Bapu that may his soul rest in peace. Very rightly said Dada. Dara Singh was indeed a great human being. His contribution to the Indian Cinema is really worth an applause. May his soul rest in peace. RIP dear Dara Singh ji !!!! Quite true Dada. 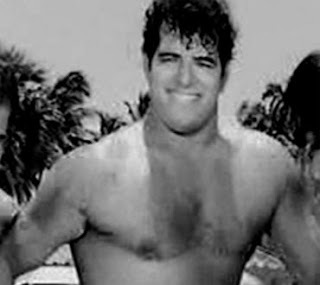 Dara Singh's name was synonymous with “Absolute strength”. In the world of wrestling, he competed against some of the greatest names like King Kong (Australia), George Gordienko (Canada), John Desilva (New Zealand) and others. He won the titles of 'Rustam-E-Punjab' and 'Rustam-E-Hind' for his wrestling prowess. The role of “Hanuman” in the TV Serial “Ramayan” made him a household name. Though he is no more with us , people will always remember him as a symbol of physical strength and as a humble human being. May his soul rest in peace. Our heartfelt condolences to the bereaved family.